What Is RFID? Here’s A Simple Explanation. What is RFID? It's a type of wireless technology that lets you identify objects that have been fitted with special RF identification tags. This can help you manage materials or assets easily, improve productivity, eliminate errors and stock-outs, and significantly reduce labor costs. RFID is Radio Frequency IDentification. The Radio Frequency refers to the electromagnetic energy that we transmit for the sole purpose of electronically carrying the ID information from an RFID tag to its reader. Here we'll explain what you can use it for, expand the definition and explain how RFID technology works. 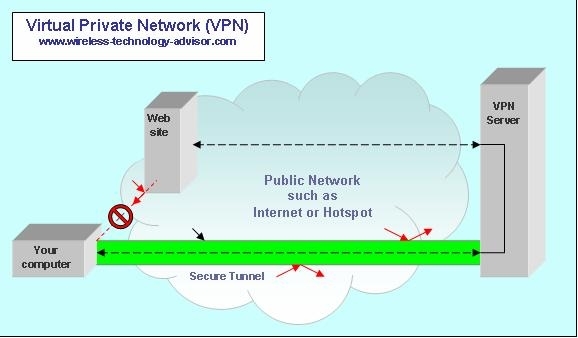 We'll also provide links to other pages that will tell you about its benefits, disadvantages and limits, and discuss the things that impose those limits. What is RFID good for? For asset management RFID is currently the best practical way to track items in transit. With RFID tracking, the benefits increase when you want to move items from country to country and they need to be off-loaded and re-loaded often. RFID and logistics providers are excellent partners, especially when the location of the items can be continuously monitored by wireless telemetry. RFID medical applications such as providing patients with an RFID wristband that contains the patient’s identity and other information relating to the patient’s medical condition. RFID hospital applications include tracking and recording of drugs and samples. RFID in libraries. When books are fitted with RFID tags, piles or rows of books on a shelf can be quickly scanned without having to move or re-arrange them. RFID access control at places where security is important, such as banks and airports. Putting RFID chips in passports is becoming common. Animal identification. RFID for cattle using RFID ear tags or an RFID implant, a legal requirement, in some countries, to register a dog. Fast payment of road tolls and other services that require fast throughput. RFID smart cards allow very fast identification and exchange of other information. Timing competitors in large sports events. Events such as marathons require accurate identification and timing information for each competitor… especially if three cross the finishing line 1/10th of a second apart. RFID seals are becoming a popular way to indicate if a container of manufactured items was opened. 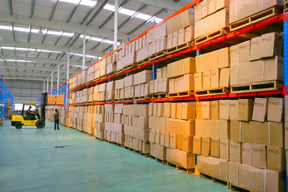 Inventory control in supply chain management and retailing. There are many, many applications for RFID and the list of applications above will help to answer the question what is RFID. However, RFID isn’t necessarily always the right, or only choice. While RFID technology may bring huge financial benefits to a large operation, for a smaller one, the setup costs might swamp any benefits and a cheaper technology such as bar coding may be more appropriate. The simplest RFID system comprises an RFID reader (or RFID scanner) and an RFID tag (or RFID label) for each item that you’ll want to be able to identify. 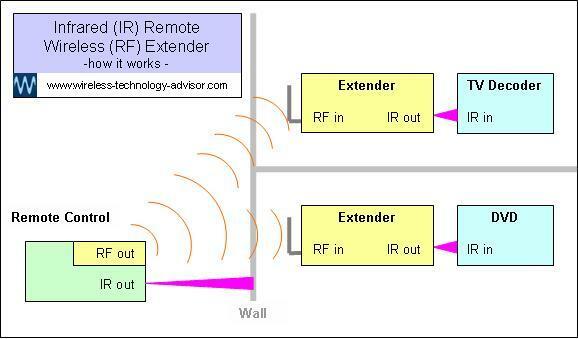 A large RFID system may comprise a network of readers spread over a wide area. These RFID readers might push their identified item data to a special computer (a server) for processing into useful information that can be sent to, and used by the company’s enterprise management system. 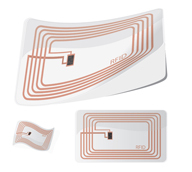 RFID means Radio Frequency IDentification. RFID uses RF wireless technology to IDentify unidentified items. Sometimes it helps to clarify a definition by not only asking the question what is RFID, but also asking what it’s not. Let’s focus on an area that sometimes leads to confusion. 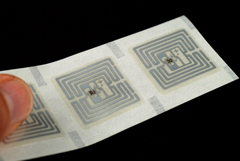 RFID tags are not the same as wireless sensors . These do require identification, especially if they’re in a network and you have to be able to tell them apart and know where (the location) the data’s been recorded. Not yet... but they could. This is because RFID has some of the infrastructure that a wireless sensor might need… excepting the sensing function. In time, there will inevitably be some overlap in functionality. For example, if RFID tags could also sense temperature, you could integrate this information into your overall system. You might even use these in a building for distributed fire detection or environmental temperature control, especially if they could be incorporated cheaply into building materials during manufacture. So, in answering the question, what is RFID, understand that it's not really a sensor, but a sensor could have RFID functionality. To help answer the question what is RFID let’s compare it with the way you might read a label on an object such as an item of clothing in a shop. You’d look at the label on the object, using your eyes to read it, transferring the information to your brain. Then you’d probably record the information on a sheet of paper with a pen. So how did the information get to your brain? The information was carried by electromagnetic energy, in the form of light. And that light carried the information from the label to your eyes. Because your eyes are connected to your brain, the information went directly to your brain where it was interpreted and committed to your memory… and maybe you didn’t trust your memory, so you wrote it down! An RFID reader performs exactly the same functions, though in a totally different way… or is it so different? What is an RFID reader, and what does it see? To further understand, what is RFID, we need to ask 'how do you read the RFID tags'? An RFID reader is an electronic device that can see the RFID tag attached to an item. But the RFID reader’s eyes are an aerial, or antenna… eyes that also see electromagnetic energy, not as visible light, but as energy in a different part of the electromagnetic spectrum… the RF part. So eyes and antennas are both electromagnetic receptors… they receive electromagnetic radiation, but each sees electromagnetic energy in a different part of the spectrum, eyes see in the visible part and antennas see in the RF part. And the information on an RFID tag is not visible when viewed in visible light… but to an antenna, it shines when illuminated with RF energy and viewed through RF eyes. Because the reader and tag have to be able to understand each other they need to have an agreed protocol. "Who are you? Identify yourself." So how does the question "who are you" get to the unknown item, and how does the reply "I’m item number 123456789" get back to the reader? The information (the question and reply) is carried by Radio Frequency (RF) electromagnetic energy. And after traveling between tag and reader (when a tag and a reader communicate) the information has to be understandable… tags and readers need to talk the same language. An RFID standard is evolving for each of the main applications to help make RFID devices compatible. RF energy is a great way to carry information from one place to another. It can spread out and can penetrate many (non-metallic) solid objects so can be effective at reading RFID-tagged items that may be covered with other things. For more information about this, here’s a simple explanation… how does wireless technology work. If you'd like more answers to the question What is RFID?, click on the links below. Identify and account for items quickly, easily, accurately and inexpensively. If you’re interested in asset management, access control, inventory tracking, healthcare or any of the many other applications, RFID may significantly improve your bottom line. Many of the Disadvantages of RFID are minor, and if you can minimize the rest, you can reap the significant benefits that RFID technology has to offer. Here we'll discuss the disadvantages of RFID and how to minimize them. RFID frequencies can significantly affect your RFID application. They affect operating distance, speed, the minimum size of objects you can tag, where you can use them and even the price. Different applications have different requirements. Understanding these will help you make an informed decision. RFID range is fundamental, and understanding what affects it helps answer the question what is RFID? If you’re planning to use RFID you need to know what distance it will work over. 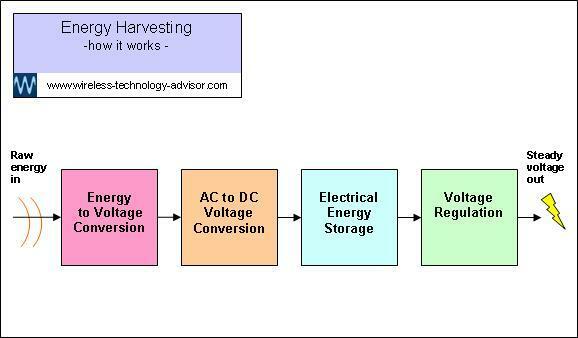 This depends on RF transmit power, the receive sensitivity, the surroundings, how much water is present, the orientation of the tag, frequency of operation and the care that’s gone into designing the products, planning and installing the system.